Welcome to Shetland, where it's so far north that some nights never get completely dark. On one such endless day, a teenage girl is murdered. It's up to Detective Jimmy Perez (Douglas Henshall) to shed light on the killing. He's only recently returned to his native island, and he's finding it hard to break through the suspicion and fear of this close knit community. Helping him are Sergeant McIntosh (Alison O'Donnell), an outsider from Glasgow, and Constable Wilson (Steven Robertson), a life-long Shetlander. Lacking the resources of a mainland police force, Jimmy and his team must navigate the traditions and unspoken rules of the people of the island. Based on the best selling books by award-winning crimer writer Ann Cleves. Be prepared to turn on the CC feature on your television, because their accents are thick! 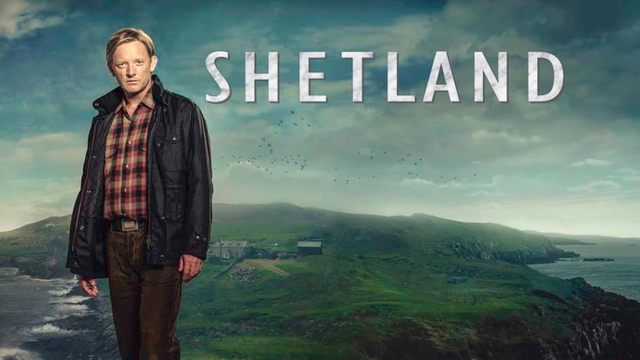 Enjoy Shetland for the next eight Thursdays nights on OETA at 10pm. And let us know if you like it because there is another season available to us and a third season in the making.